Austin air is America's favorite air cleaner. 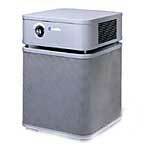 Austin Air Systems is a manufacturer and world leader in personal air cleaning technology. 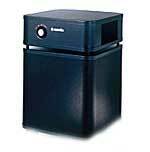 We manufacture a variety of indoor air cleaners for personal use. To learn more about our products, our company or the issues surrounding clean air we invite you to follow the links below. Specialty air cleaner with over 80 sq. ft. of medical HEPA, certified to remove 99.97% of airborne particles greater than 0.3 microns. Contains over 15 pounds of granular carbon and zeolite for the adsorption of odors, ozone, gasses and other harmful chemicals. Stands 23” tall and 14.5” wide. Comes with wheels for easy portability. Effectively cleans an area of 1500 sq. ft. (with normal ceiling heights). Available in Black, White, Sandstone and Silver. 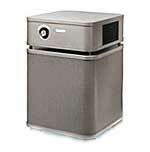 Healthmate Plus™: Specialty air cleaner specifically designed for those who are chemically sensitive. Has over 80 sq. ft. of medical HEPA, certified to remove 99.97% of airborne particles greater than 0.3 microns. Contains over 15 pounds of granular carbon and zeolite for the adsorption of odors, ozone, gasses and other harmful chemicals. Available in Black, White, Sandstone and Silver. Important Research: In 1998, research engineers at Austin Air's development labs learned that secrecy restrictions had been lifted on a revolutionary carbon material developed for the British military. This new material was developed to protect soldiers in chemical warfare. Many times more efficient than the regular form, this lightweight carbon weaved into a cloth could protect today's mobile infantry against most toxic chemical poisons. Available in Black, White, Sandstone and Silver. Healthmate Junior™: Specialty air cleaner with over 30 sq. ft. of medical HEPA, certified to remove 99.97% of airborne particles greater than 0.3 microns. Contains over 7 pounds of granular carbon and zeolite for the adsorption of odors, ozone, gasses and other harmful chemicals. Stands 16.5” tall and 11” wide. Effectively cleans an area of 700 sq. ft. (with normal ceiling heights). Available in Black, White, Sandstone and Silver. When it comes to cleaning the air in your home, nothing does a better job than the Austin Air Cleaner.